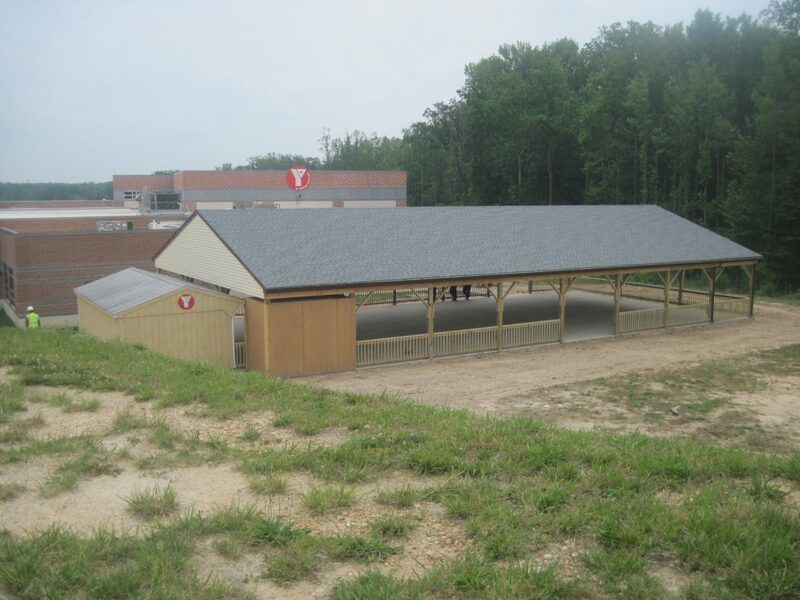 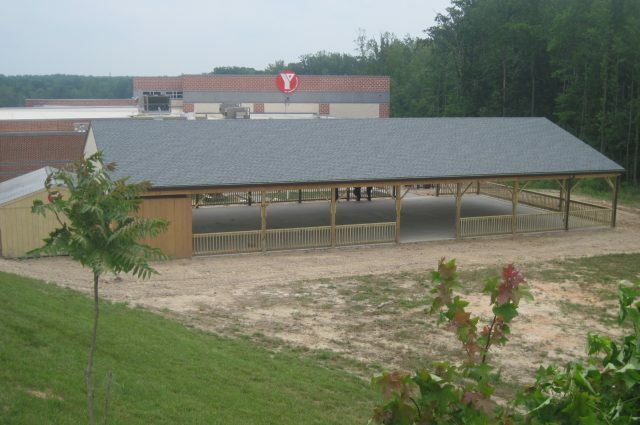 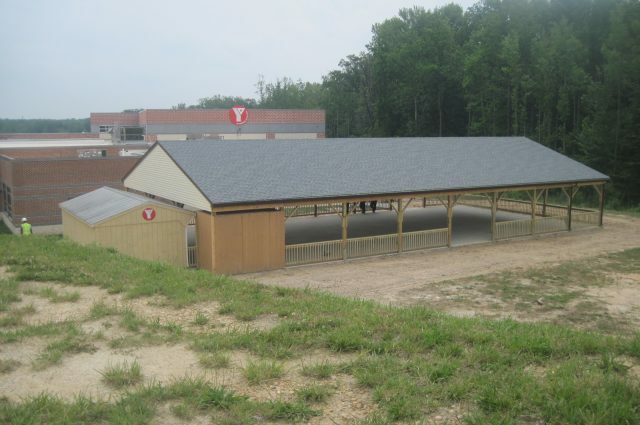 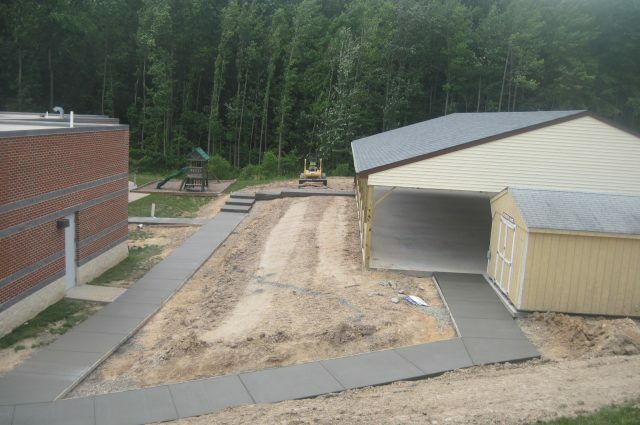 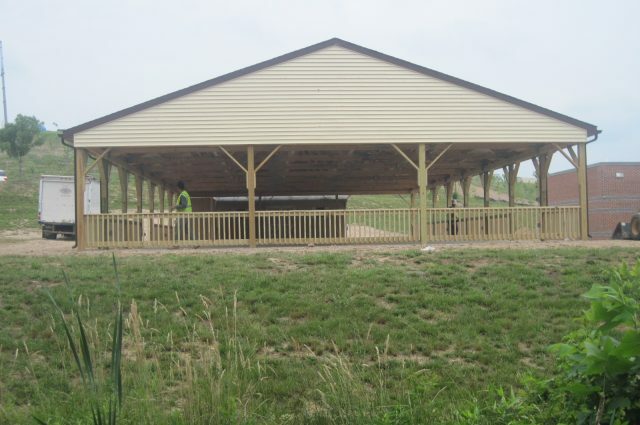 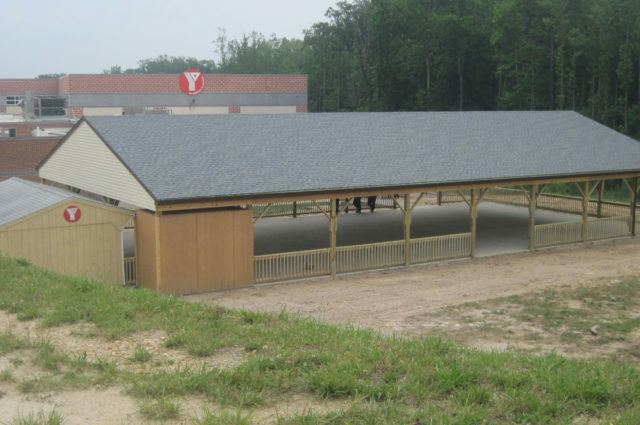 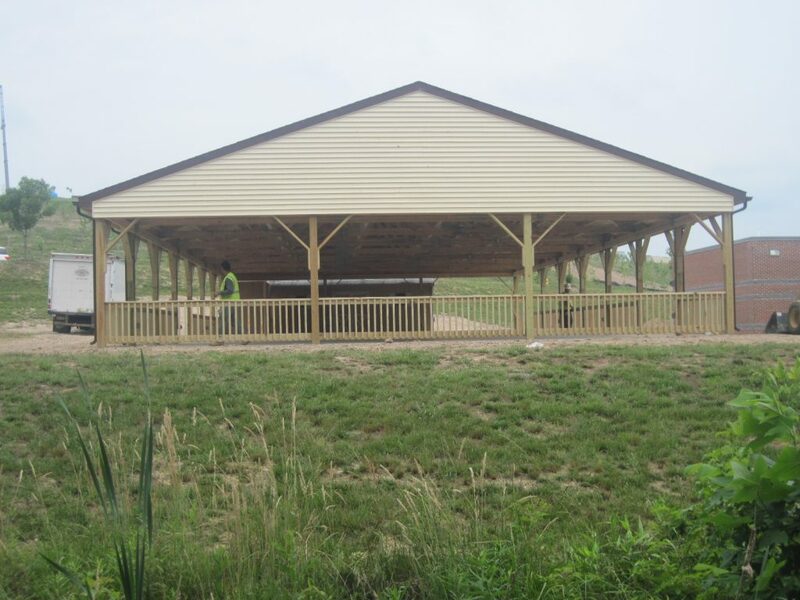 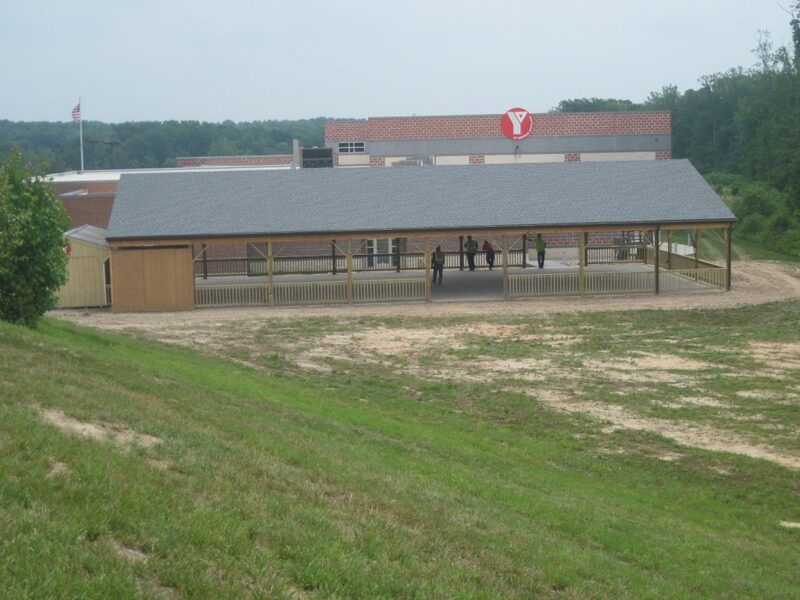 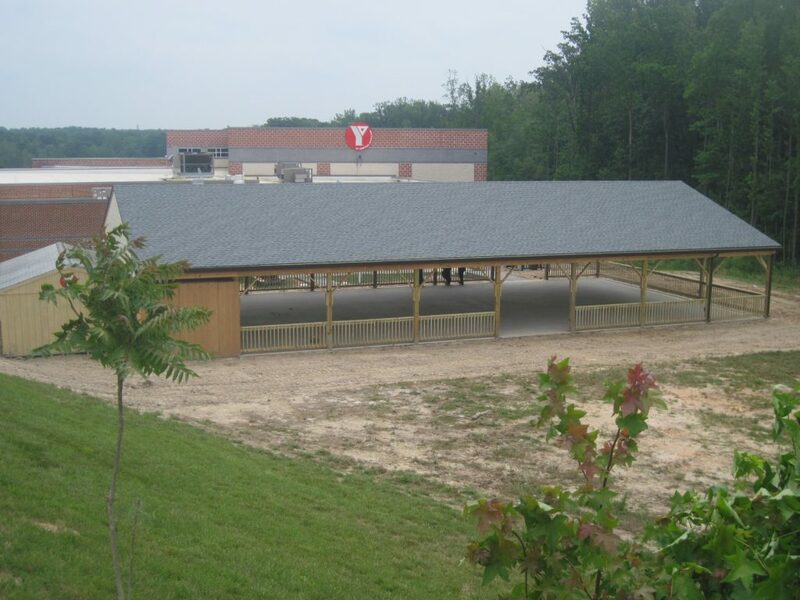 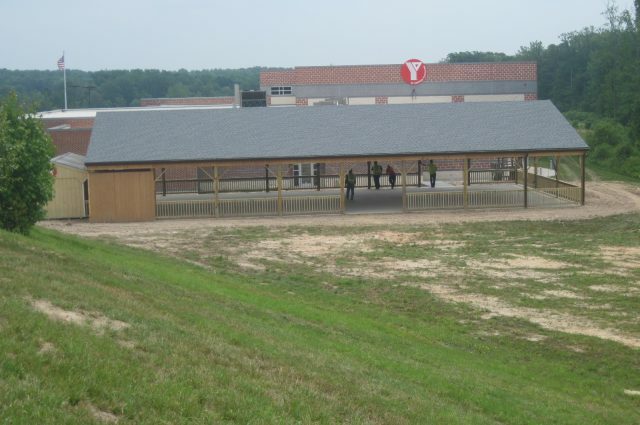 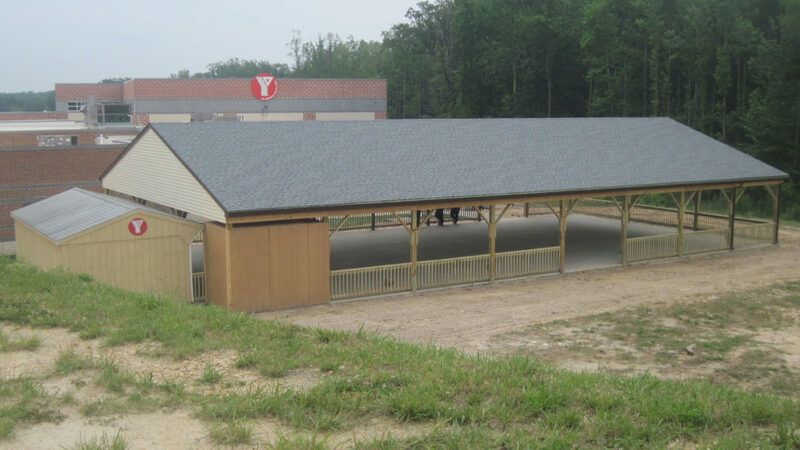 Here is a 36×80 arena we completed for the YMCA. 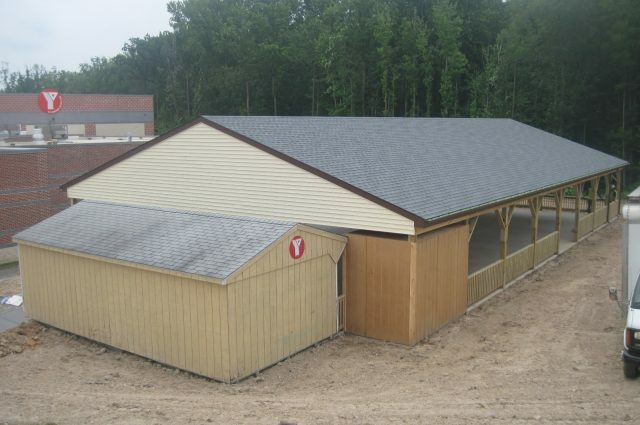 This build features cream colored vinyl siding and Willamsburg slate colored shingles. 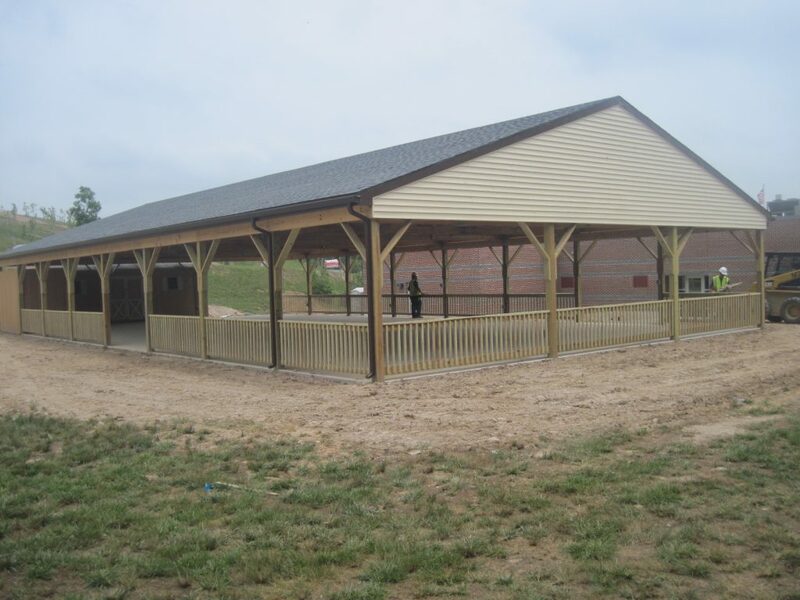 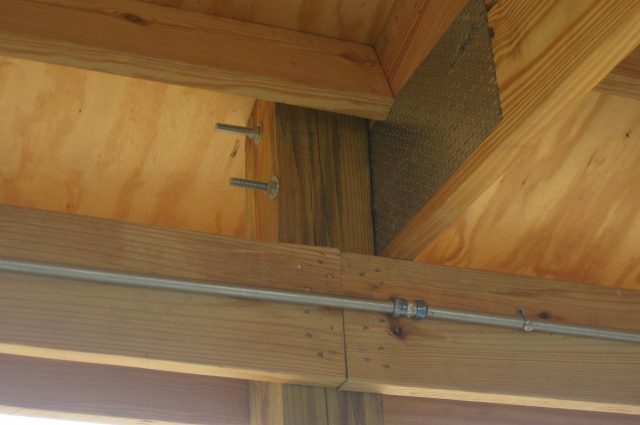 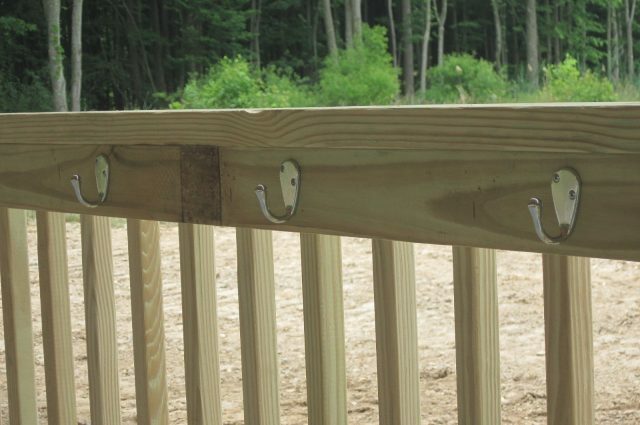 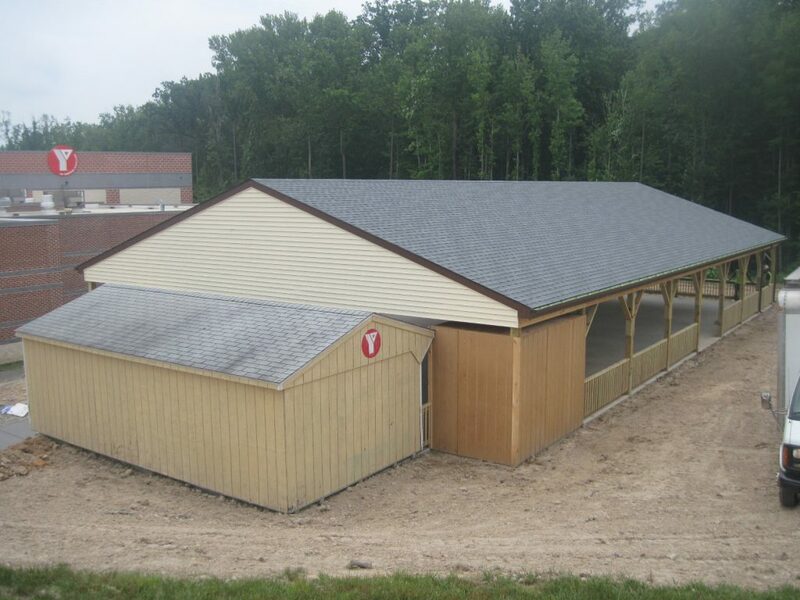 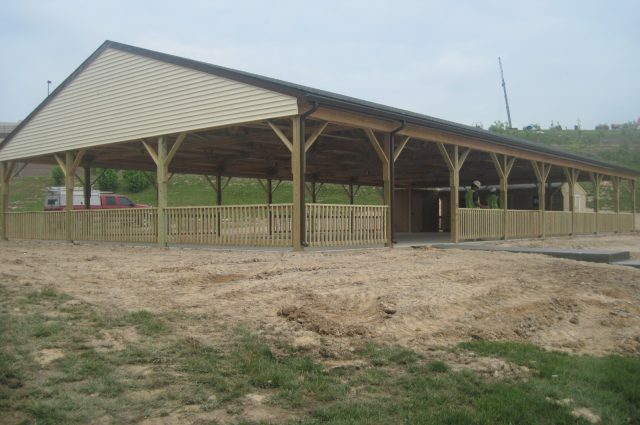 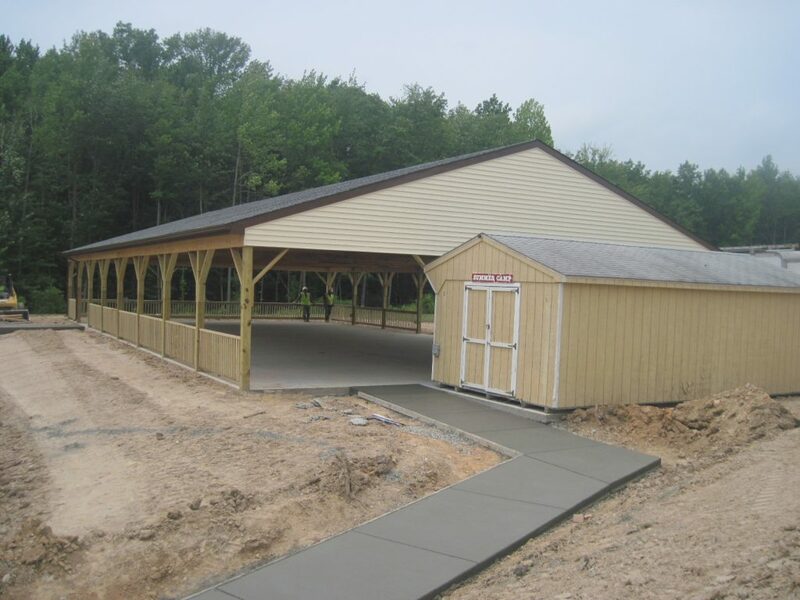 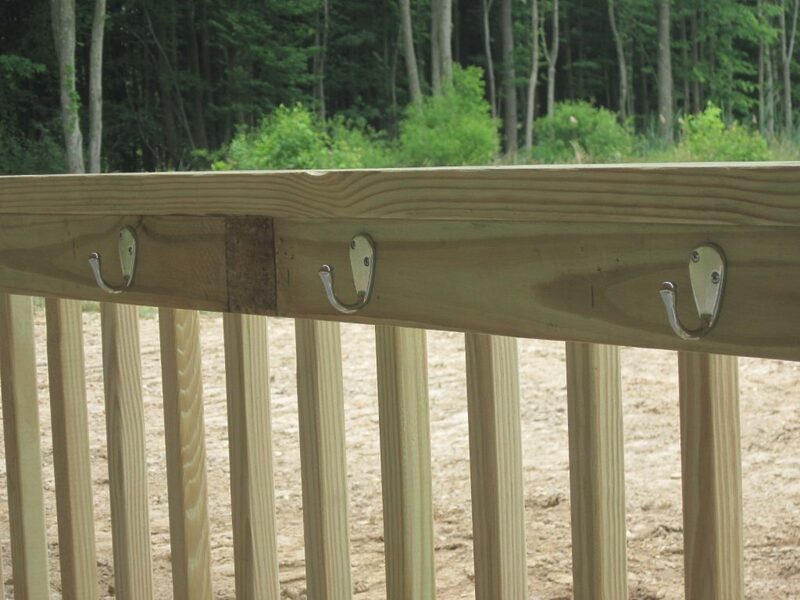 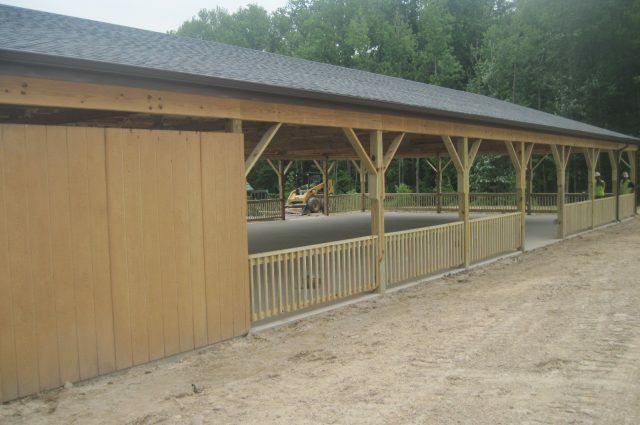 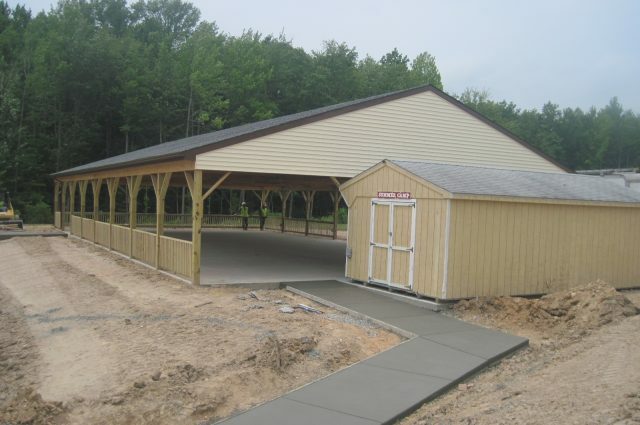 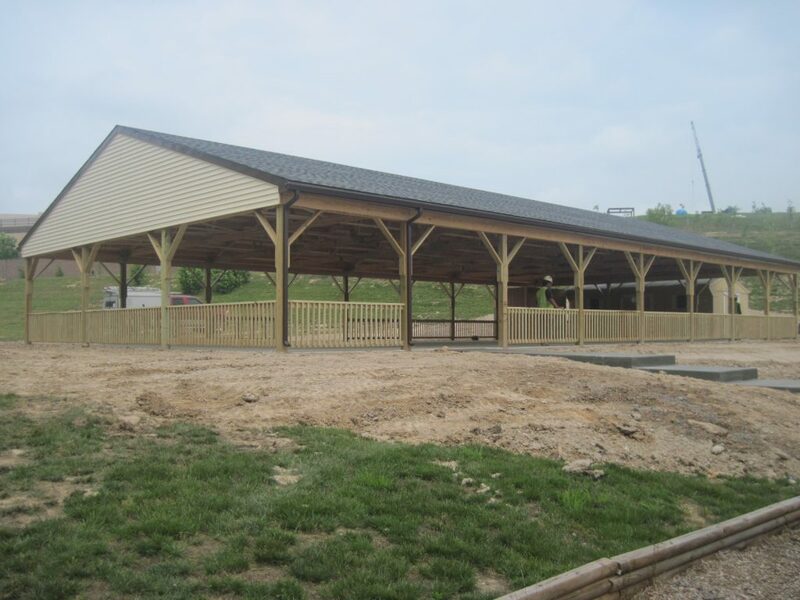 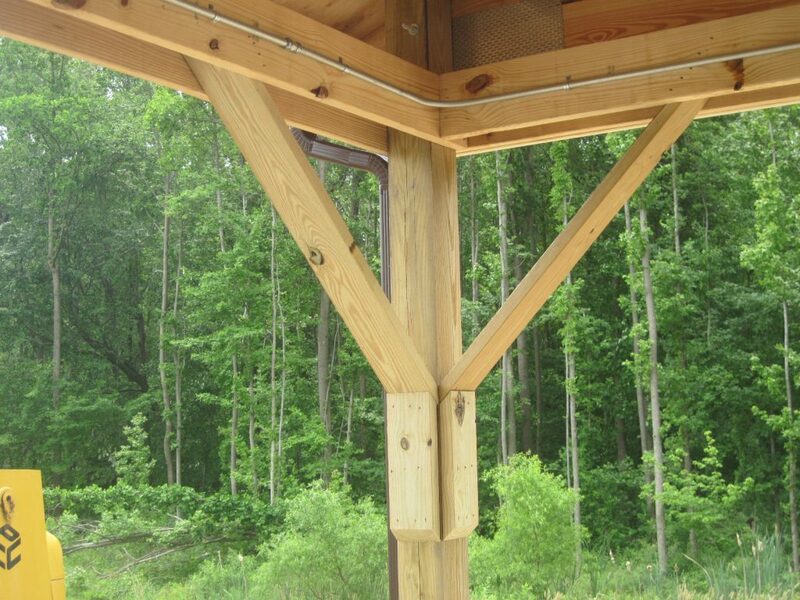 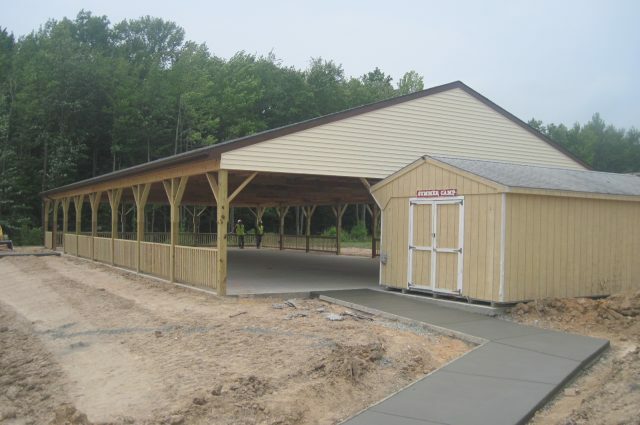 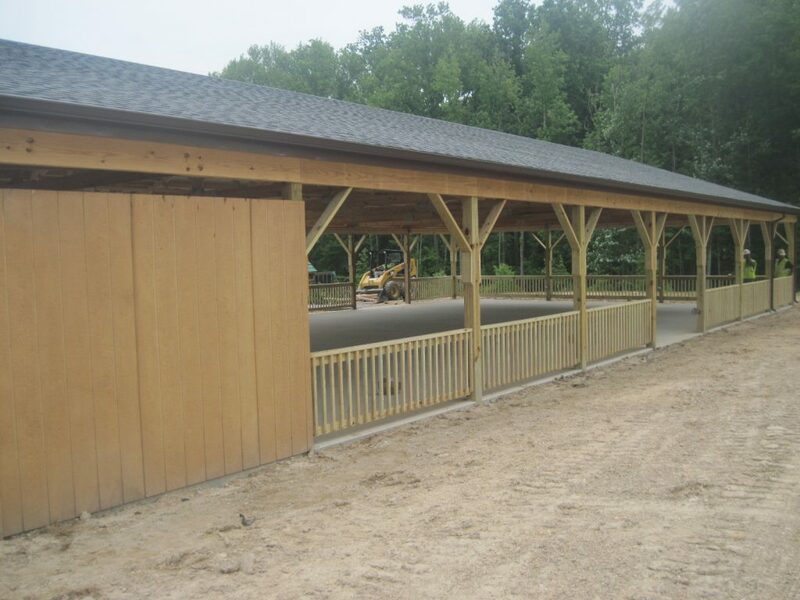 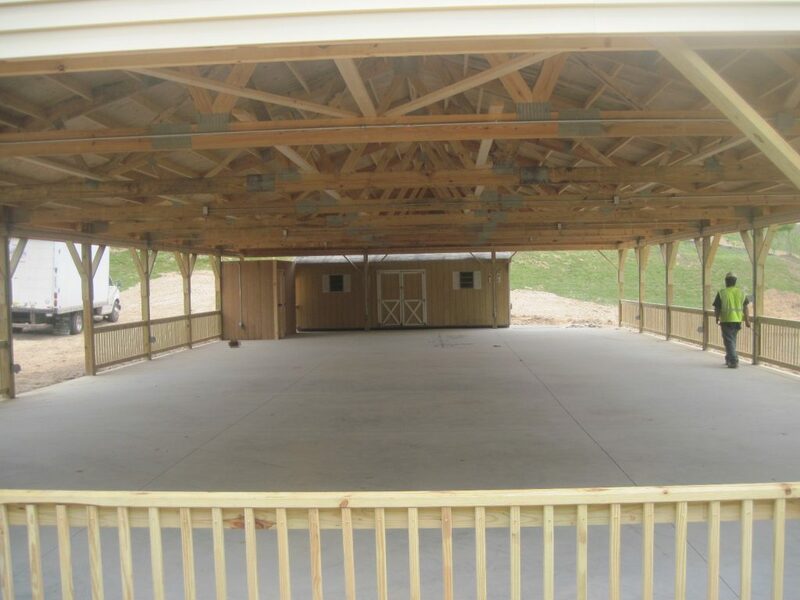 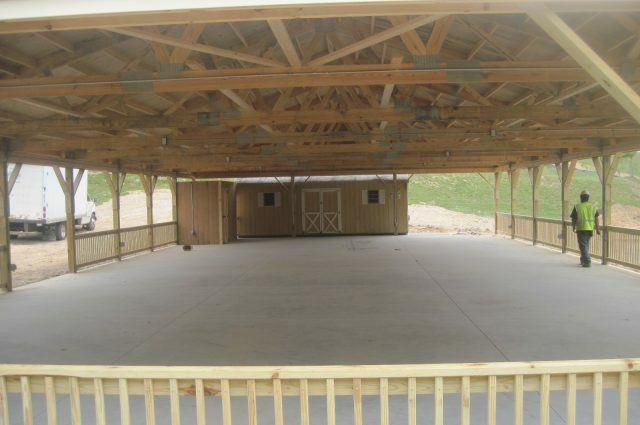 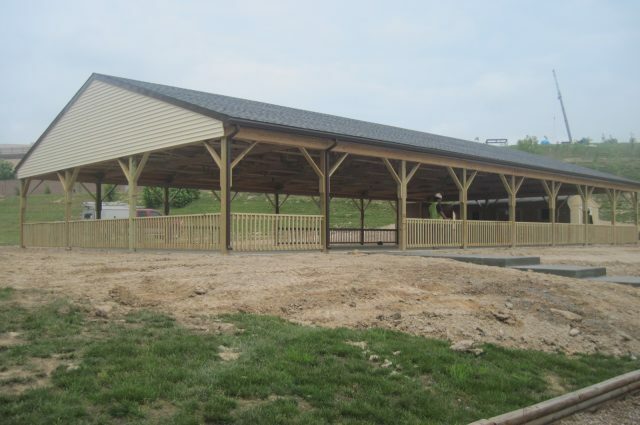 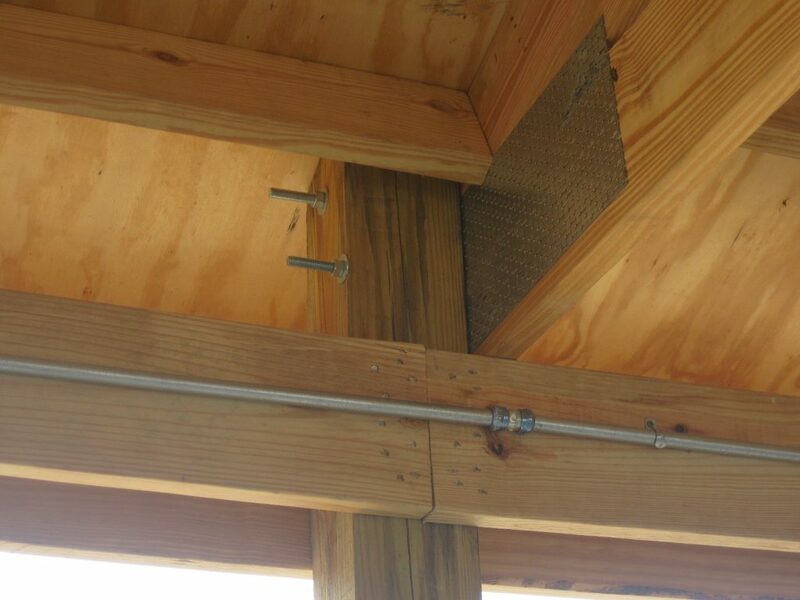 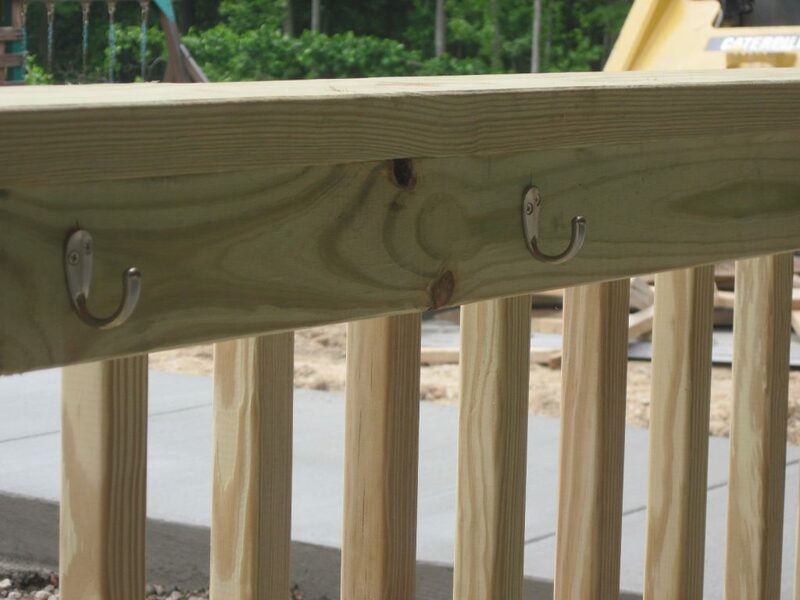 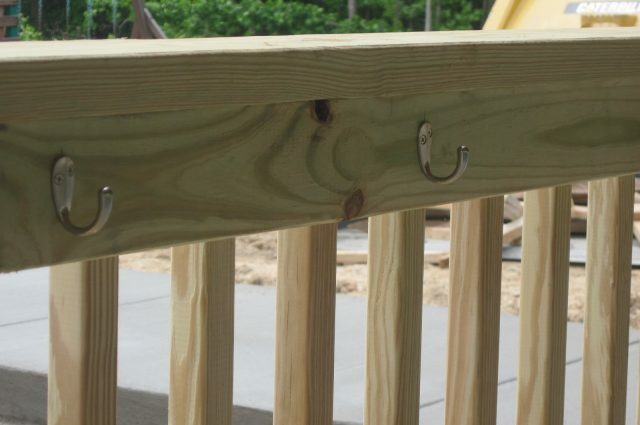 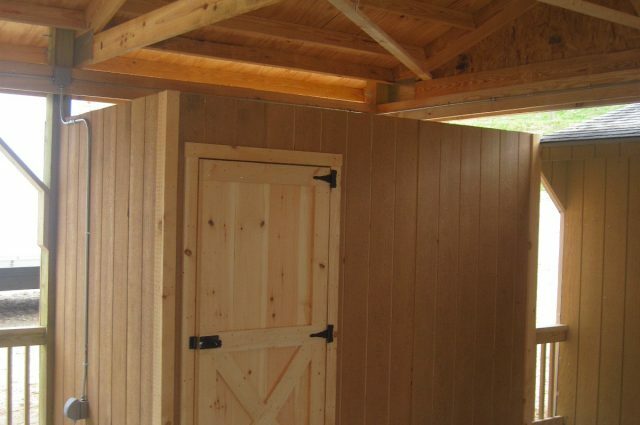 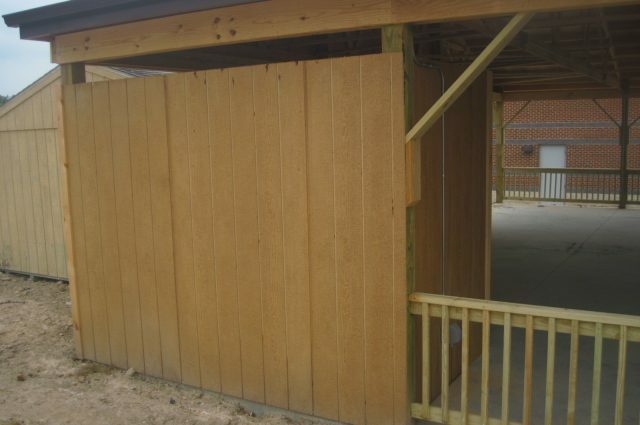 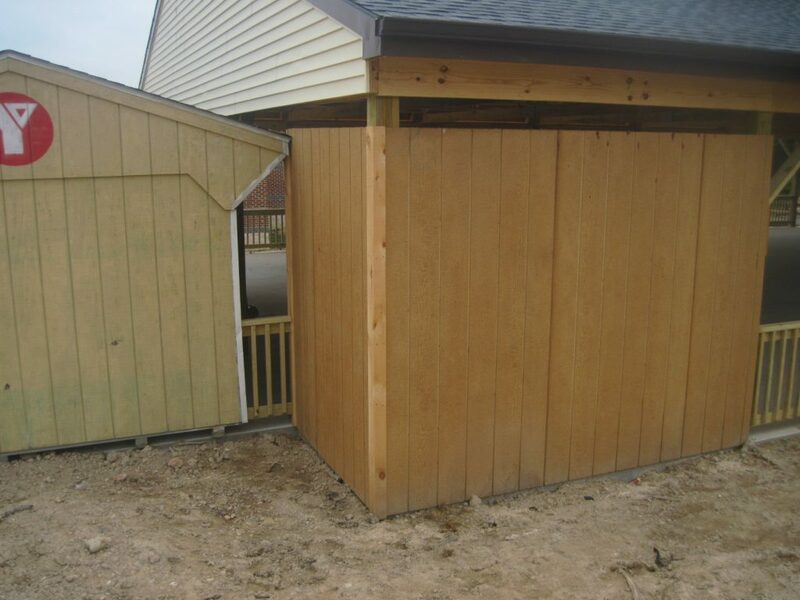 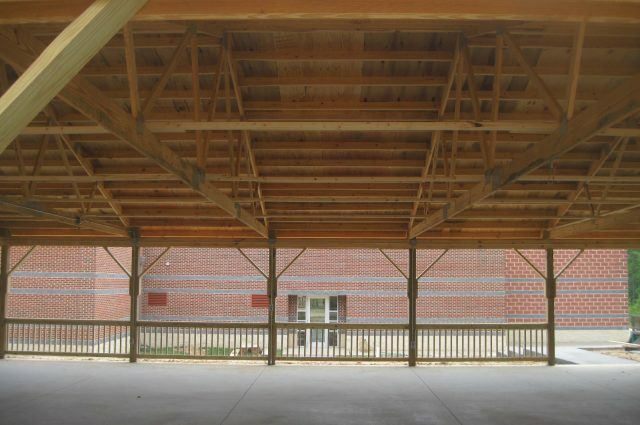 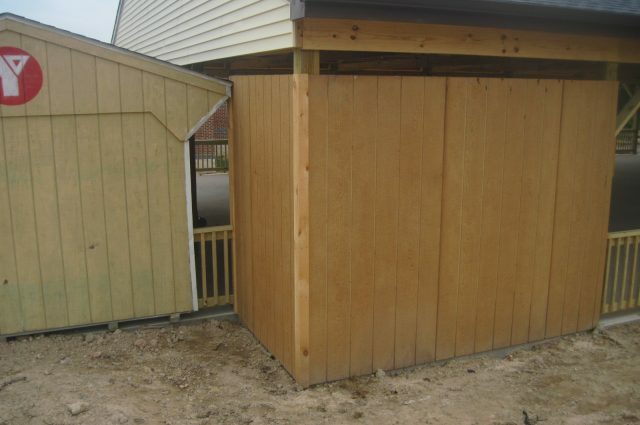 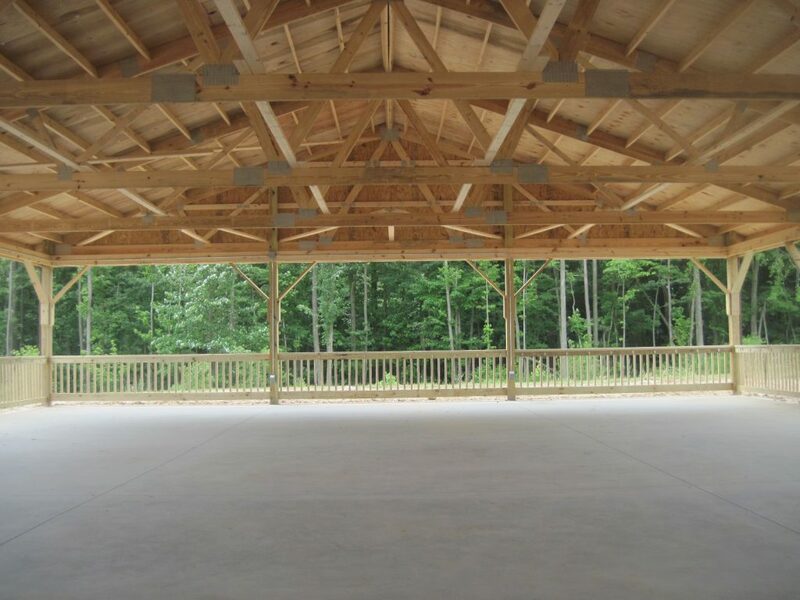 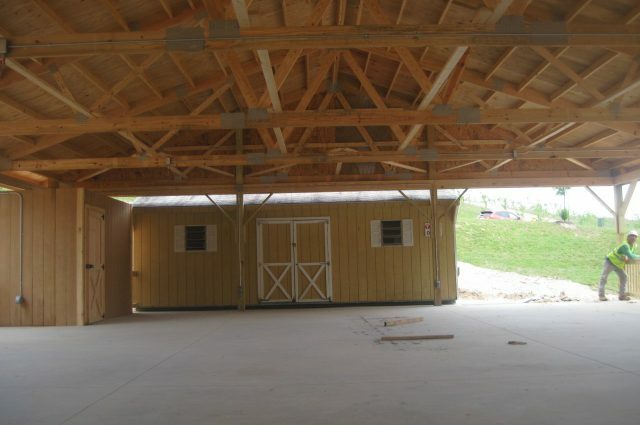 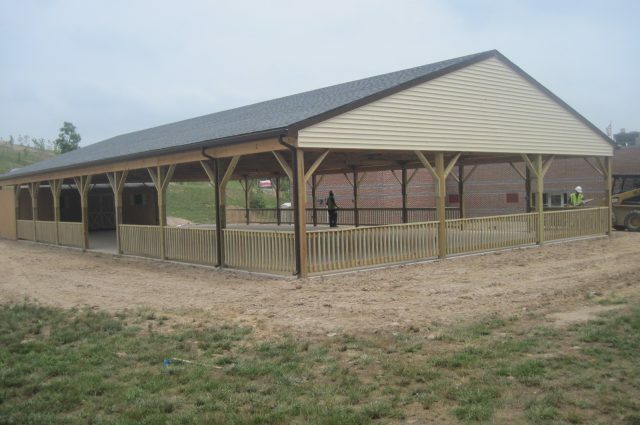 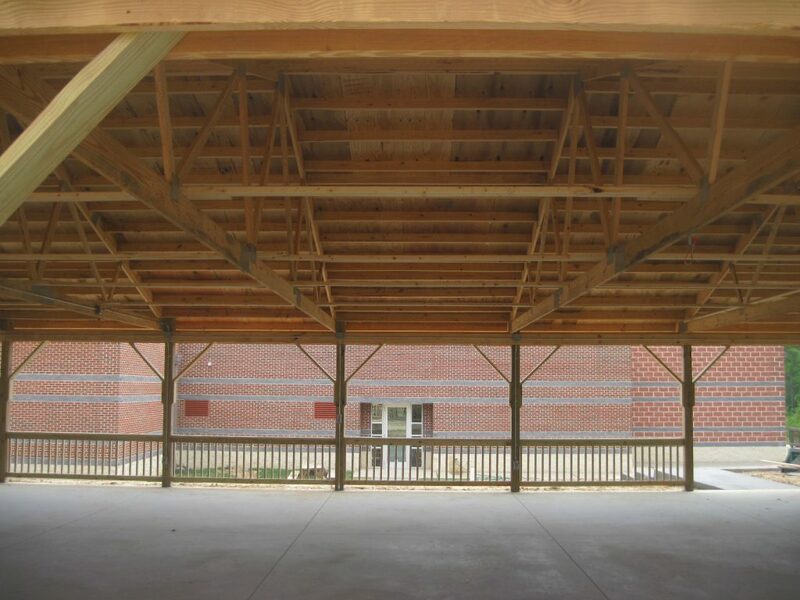 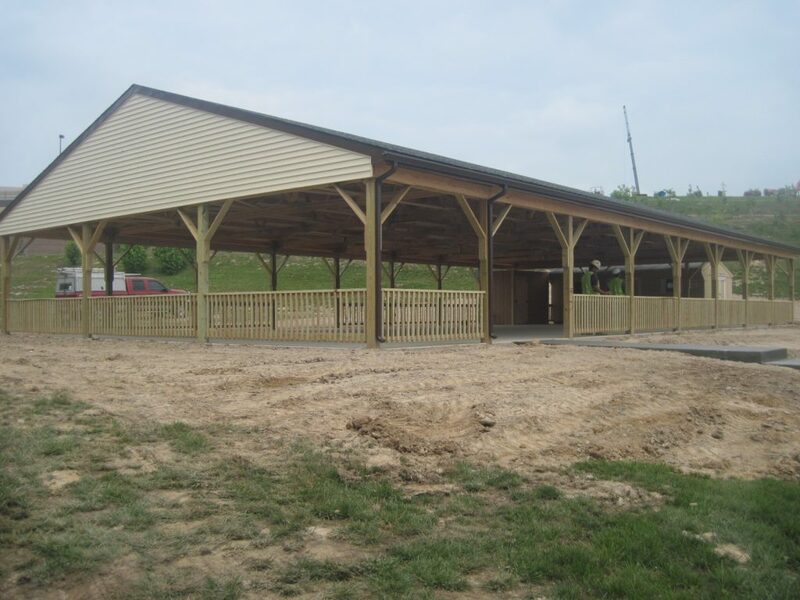 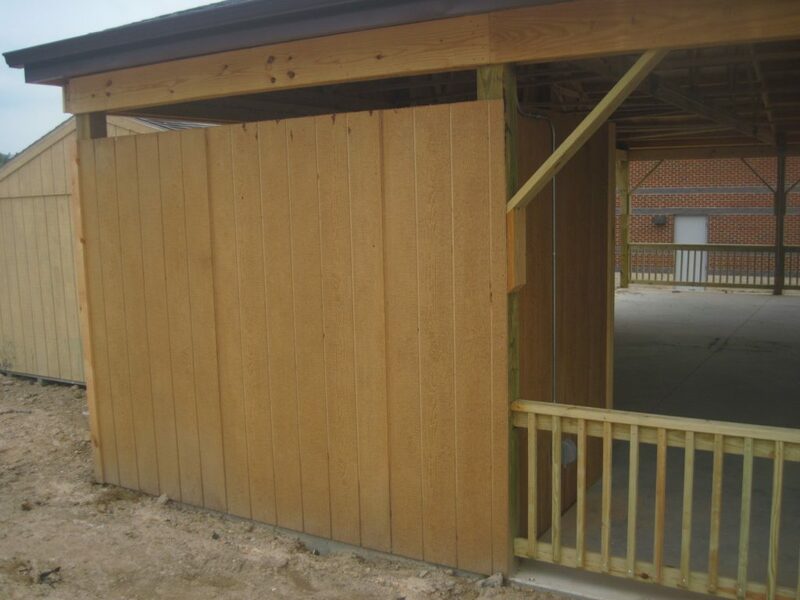 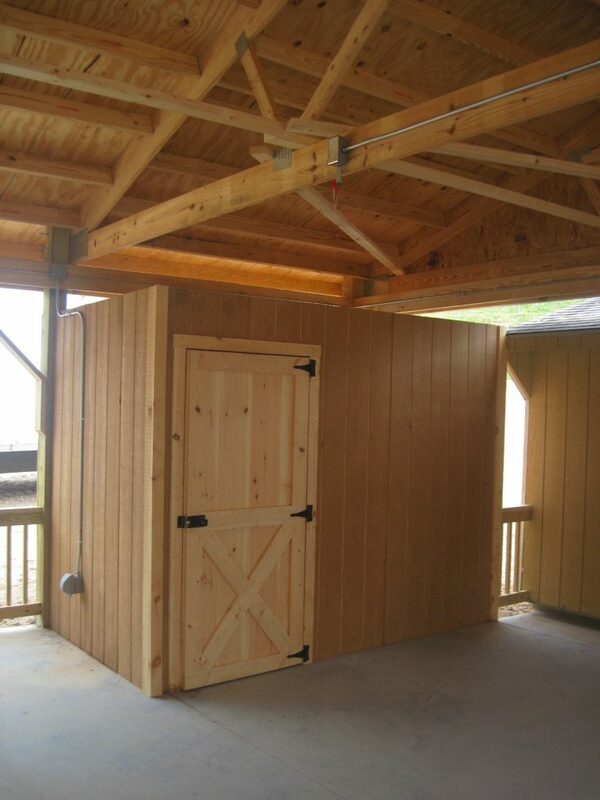 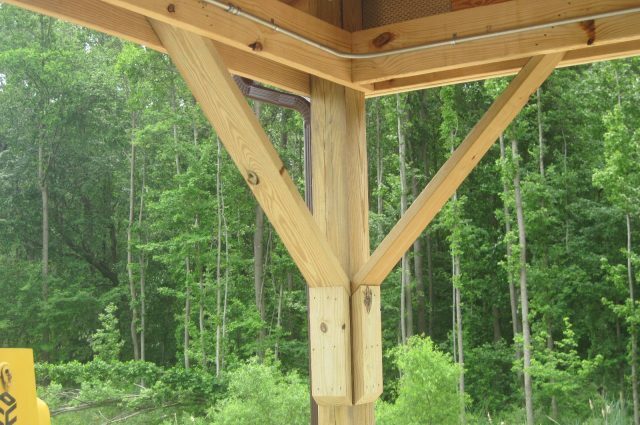 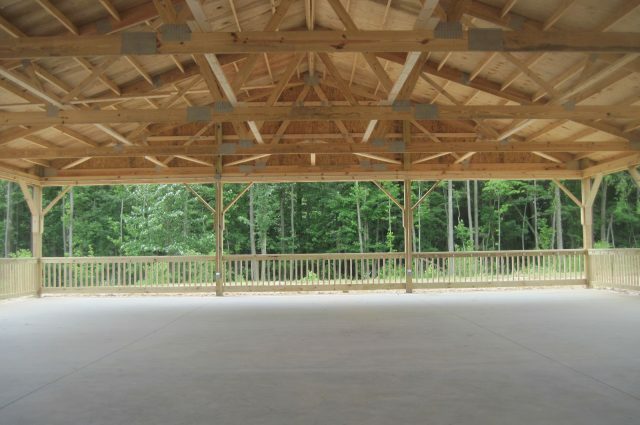 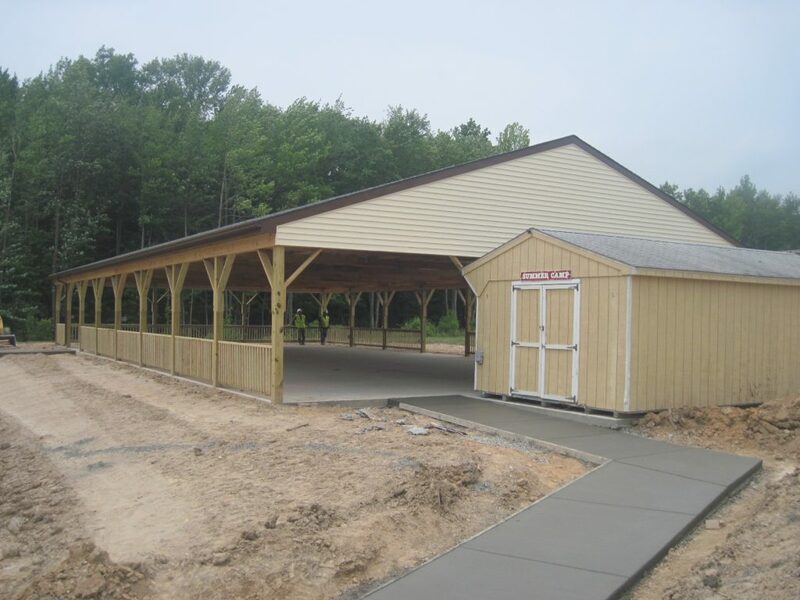 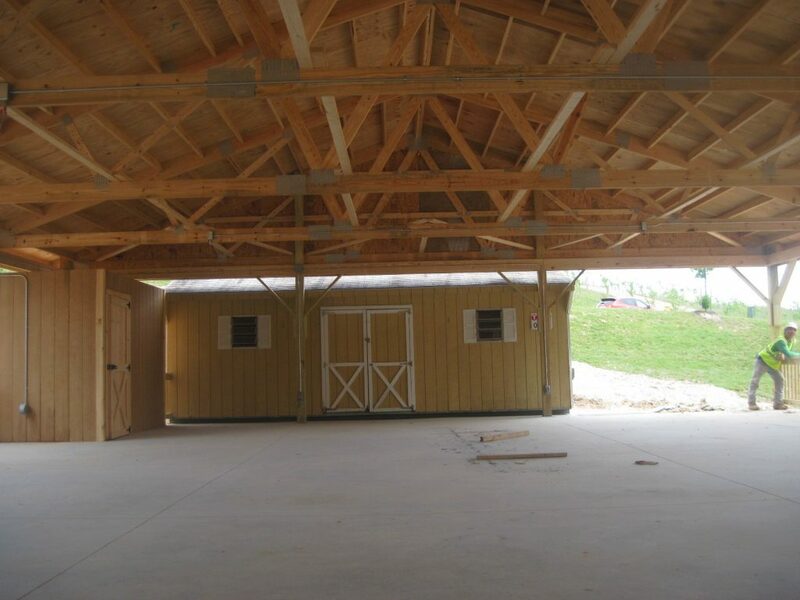 With 10’x6′ restroom area and 3′ wood fence with saddle hooks, this building is well equip for the crowds to come.